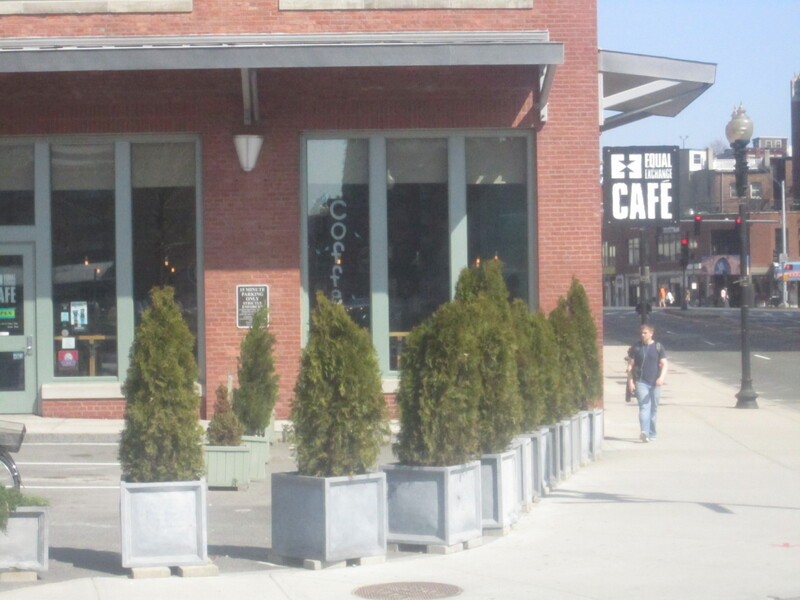 Equal Exchange Cafe, located near North Station, is a great space for a quick coffee or a few hours of contemplation. 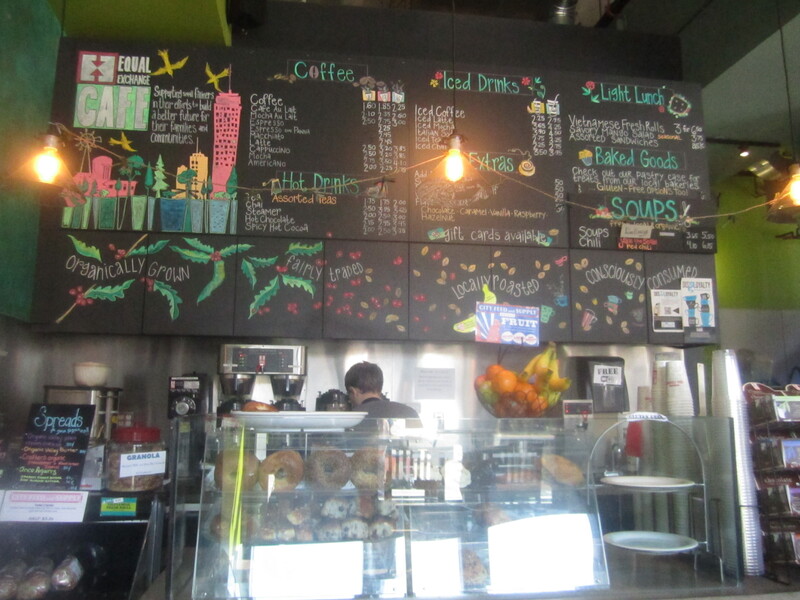 The counter staff and baristas are all very friendly and quite zen. I have seen one of the founders, Jonathan Rosenthal speak and shared Equal Exchange’s socially minded philosophies and how the organization grew. 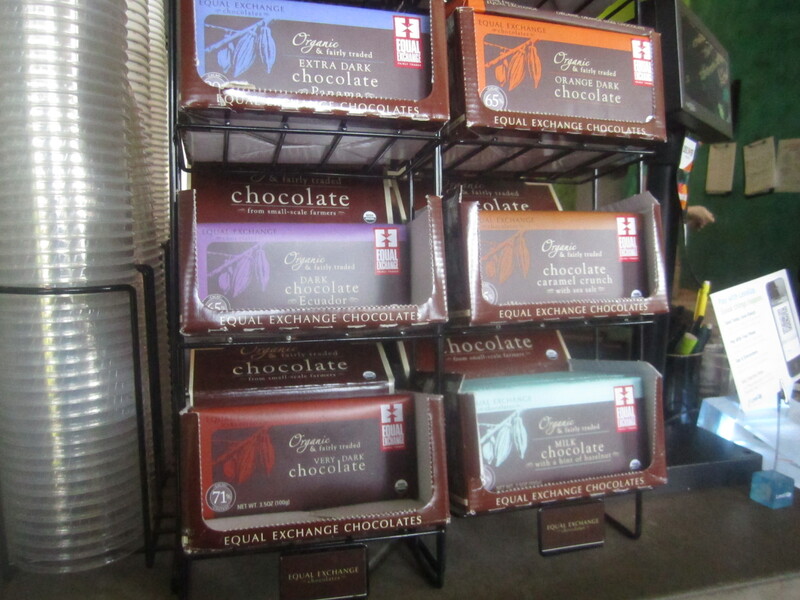 I am a huge fan of Equal Exchange’s organic chocolate bars (especially their mini bars), which includes Extra Dark chocolate and Chocolate Caramel Crunch with Sea Salt. They also have a great tutorial on the Equal Exchange website on How To Taste Chocolate link. 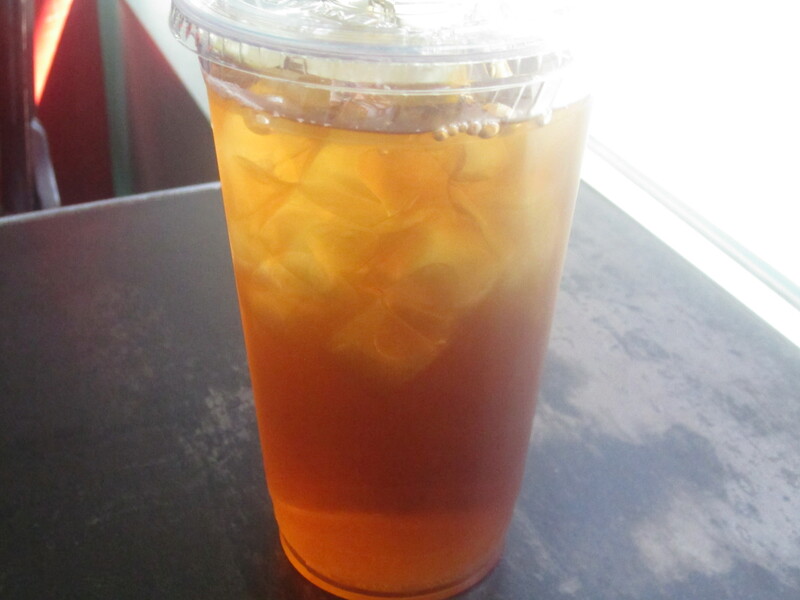 I enjoyed a refreshing iced tea with a wedge of lime. It had a nice concentration and with the twist of acidity, no need for additional sweetener. Over fifteen years ago, our mother had a catering business, the Essence of Hue. She would share her family dishes including egg rolls, fresh rolls and many other Vietnamese favorites. Although the community and friends loved her dishes, the business was ultimately not sustainable. We believe she was just too early. Since that time, Vietnamese cuisine has become widely appreciated adopted and mainstream in the food community. If she waited another decade, we have full confidence she would have had a tremendous business sharing her Vietnamese dishes. 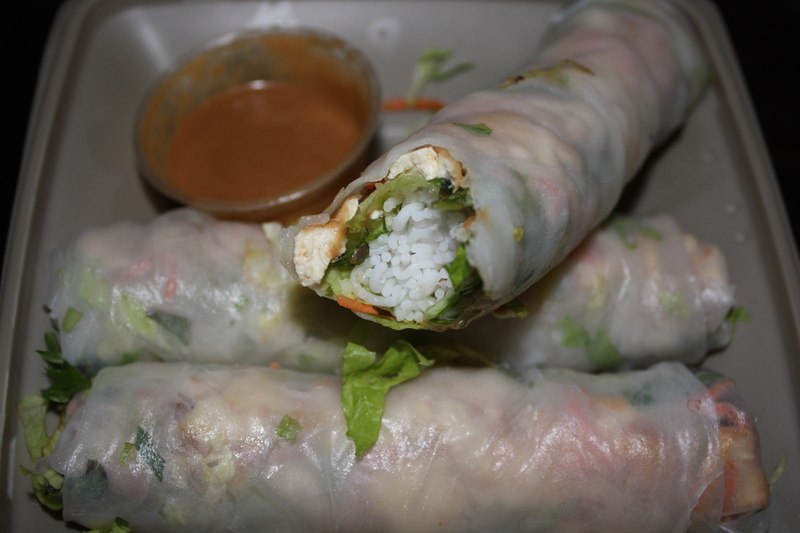 I could not help myself and I had to order Indochine Catering’s Vietnamese Fresh Rolls and compare it to our mom’s recipe for Fresh Spring Rolls (Gỏi Cuốn Chay). For $6, the packet had three Vietnamese fresh rolls and came with two peanut sauces. Oftentimes, the fresh rolls are sold out, so get them whenever you can. The rolls were large, fresh, full of iceberg and thin slices of tofu. I especially loved the thin, sweet and nutty peanut sauce. This really made the fresh rolls sing. I wish I had a few extra containers of the peanut sauce, it was that good. I would go to Equal Exchange for the Fresh Rolls alone if mom’s were not readily at hand or I do not feel like making them myself. 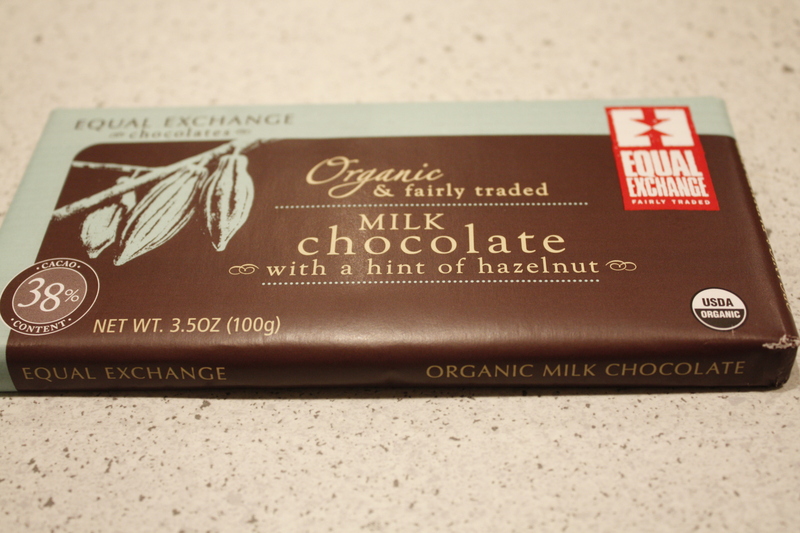 I also enjoyed the Equal Exchange chocolate with hazelnut. 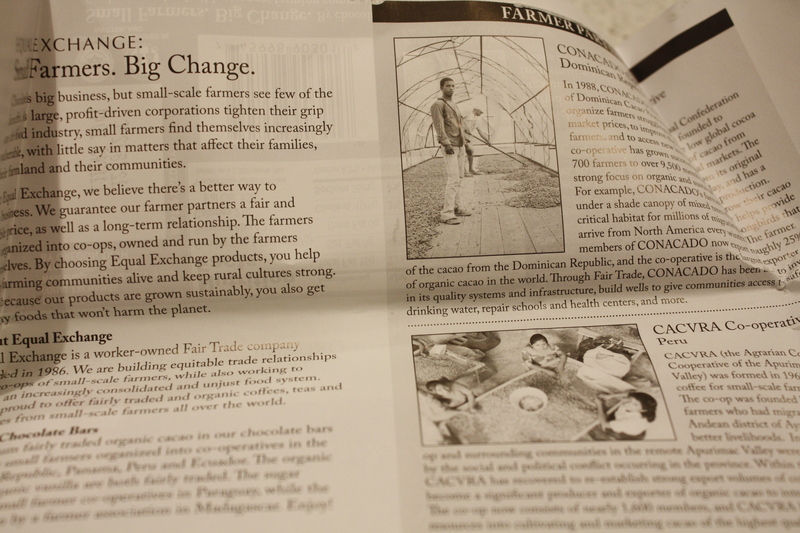 The packaging is clever, as well as informative. 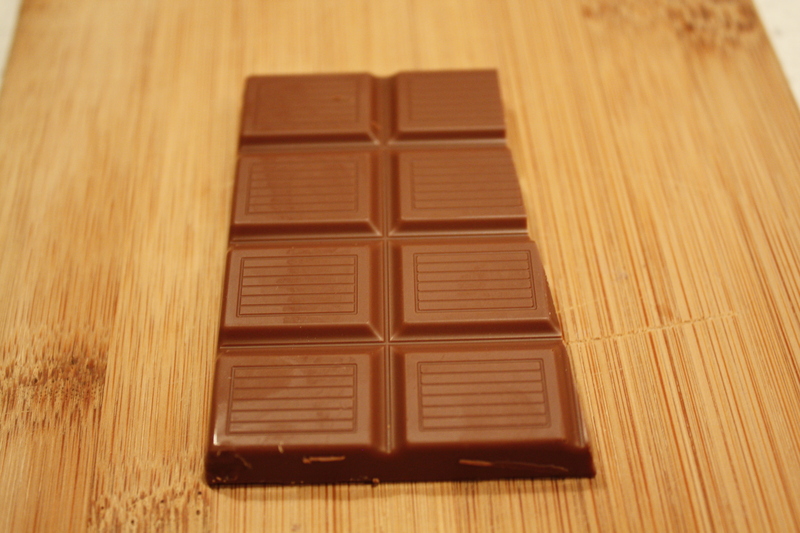 The milk chocolate bar was very smooth and had a nice hint of hazelnut flavor.